After seasons of black, grey and brown for fall ready-to-wear, it is really nice to see more color! While forest green, burnt orange and purples are all the rage this season, we especially like the “new blues” ranging from navy to cobalt. Rich true shades that can be calming as well as hopeful, awakening us to a brighter future. These more cheerful, more intense hues look great with all of our neutrals we already have in our closets. What a better way to freshen up your favorite black dress than with a pair of cobalt blue booties! It’s a blue awakening! > n.d.c. 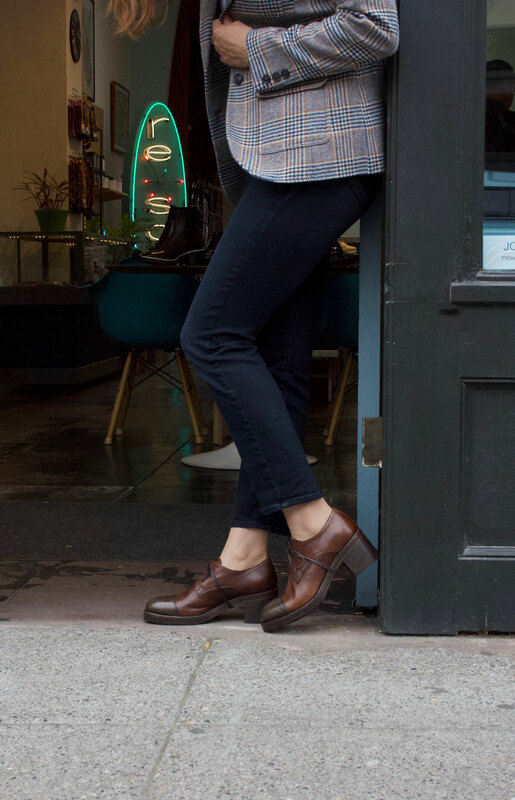 “Sunday Hudson” oxford in blue oiled suede, $468.00, handmade in Portugal. > Esska “Hoola” heeled bootie in cobalt suede, $198.00, imported. > Vialis “5350” pull on bootie in navy blue leather, $310.00, made in Spain.